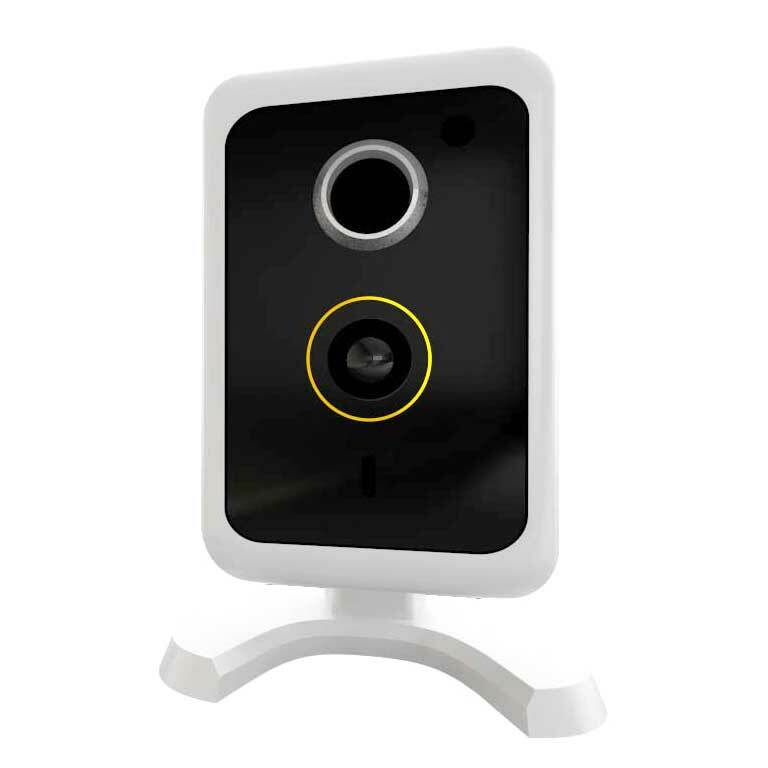 Although small, this powerful IP camera records crystal clear HD footage – it can even start recording before an intruder enters the room. 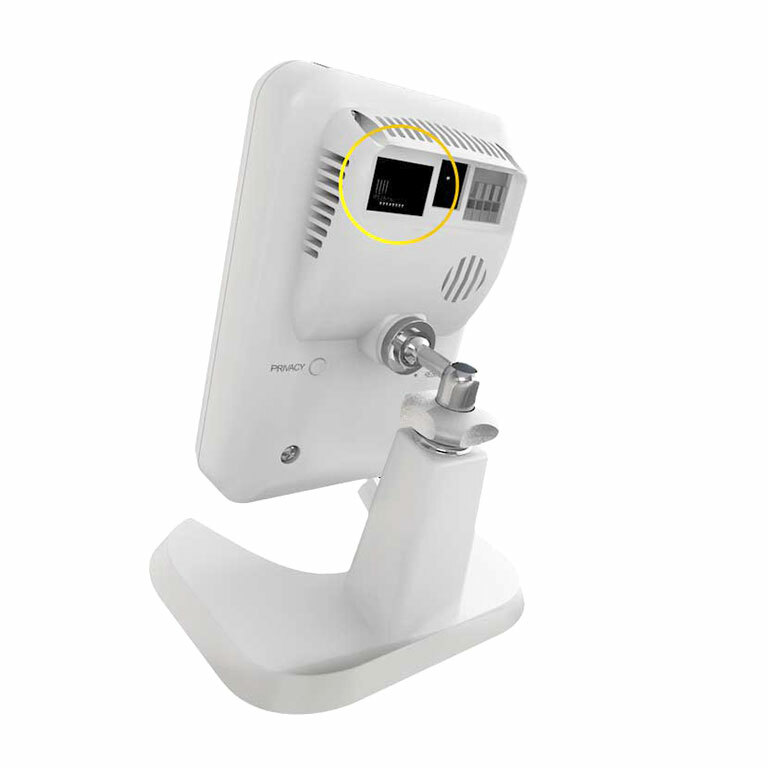 Place it anywhere where there’s power and it connects wirelessly to your smart device and your Smart Care Portal. Because it’s secured by WPA/WPA2 encryption, your recordings are always safe. 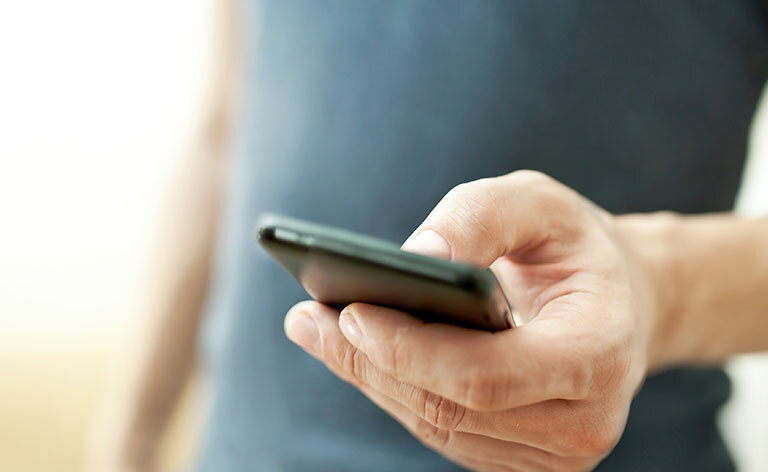 Recordings are streamed through 3/4G mobile connectivity and H.264 compression technology, which means you can access low bandwidth footage through your smartphone, even on the go. 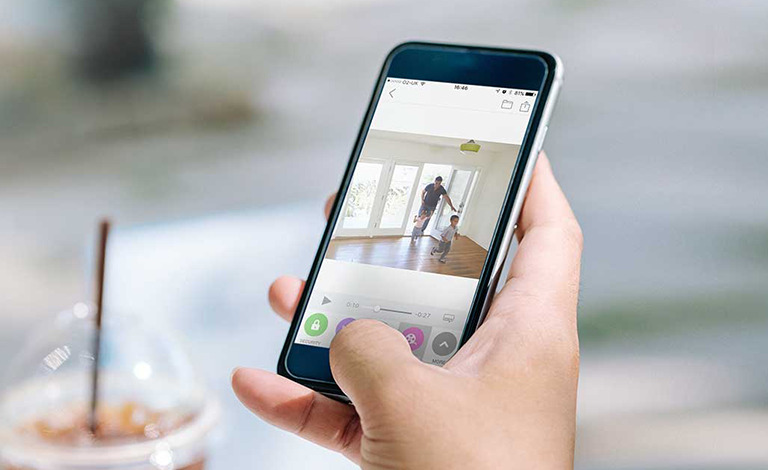 Once you’ve been alerted by email or push notification to the fact your Wi-Fi camera’s been activated, you can connect directly to your home within seconds. Every detail is captured, with high resolution footage recorded and streamed at 720p and 30fps. An aperture of F2.0, even in low light, means fantastic results day and night. This is Smart CCTV. 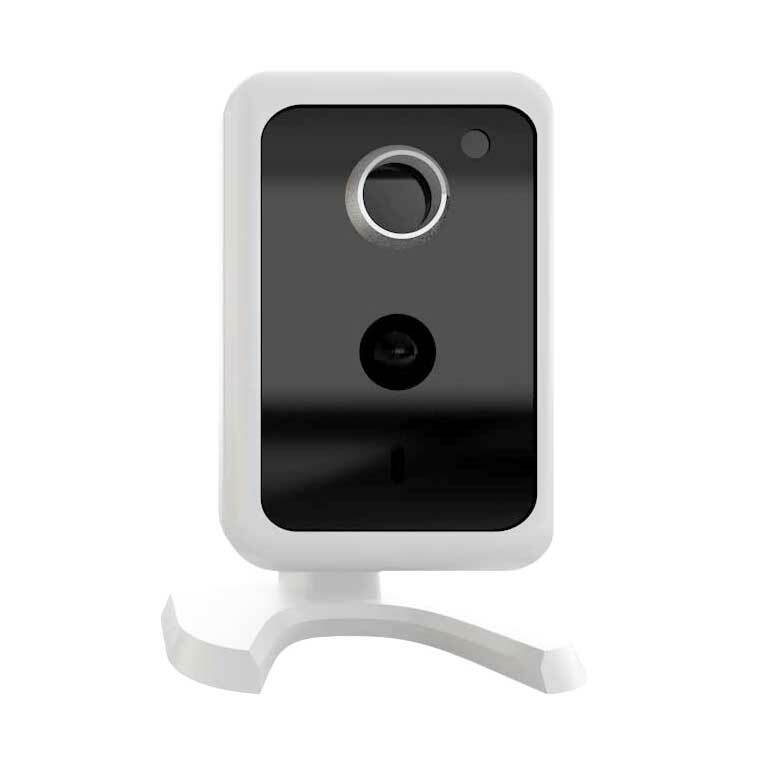 When part of a pre-programmed scenario, the motion sensor detects movement and triggers the camera to start taking pictures or recording. When connected to our pet friendly human detection sensor, it’s even smart enough to differentiate between humans and animals, which reduces false alerts too. A light sensor detects when it goes dark and automatically switches to night vision. To ensure you still receive superb HD footage, built-in infrared LEDs cut through the dark. Should you need it, a privacy button lets you switch off the camera view. To ensure your privacy, once activated manually this can’t be overridden via the app. 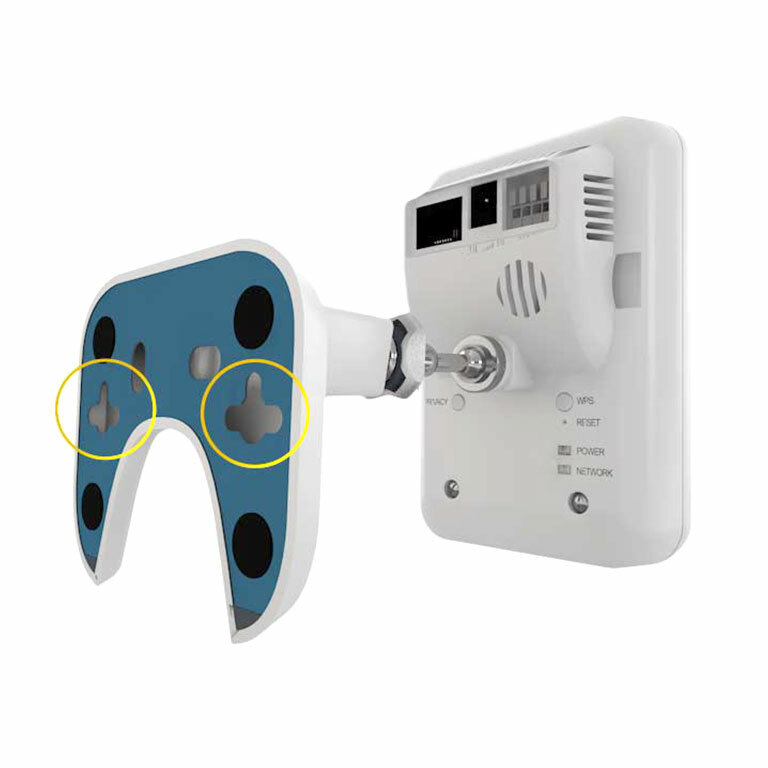 If you find yourself in an area with a weak Wi-Fi signal, you can connect a network cable through the in-built cat5 port. 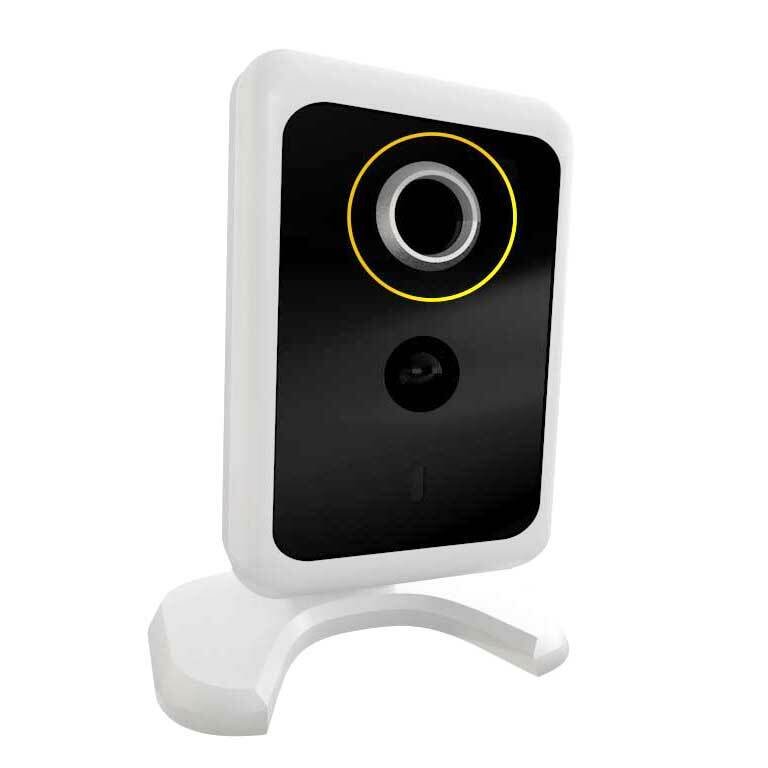 Attach your Wi-Fi camera to a wall or place it on a shelf, it’s up to you. With sturdy feet and the ability to be moved easily, this is a plug and play device that can be positioned anywhere around your home. 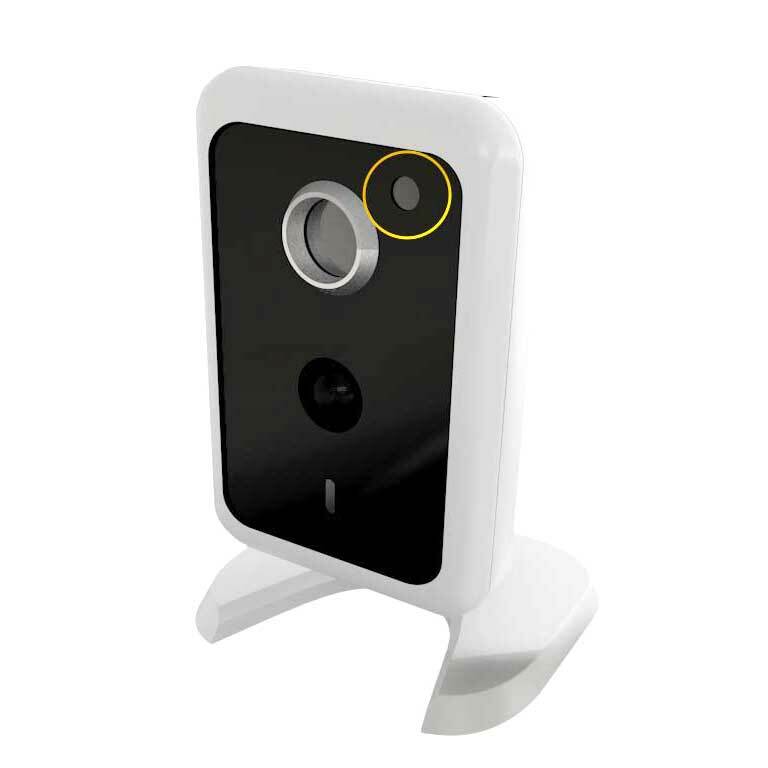 Small and stylish, our smart IP camera is made from tough plastic and has a modern, high-gloss finish. 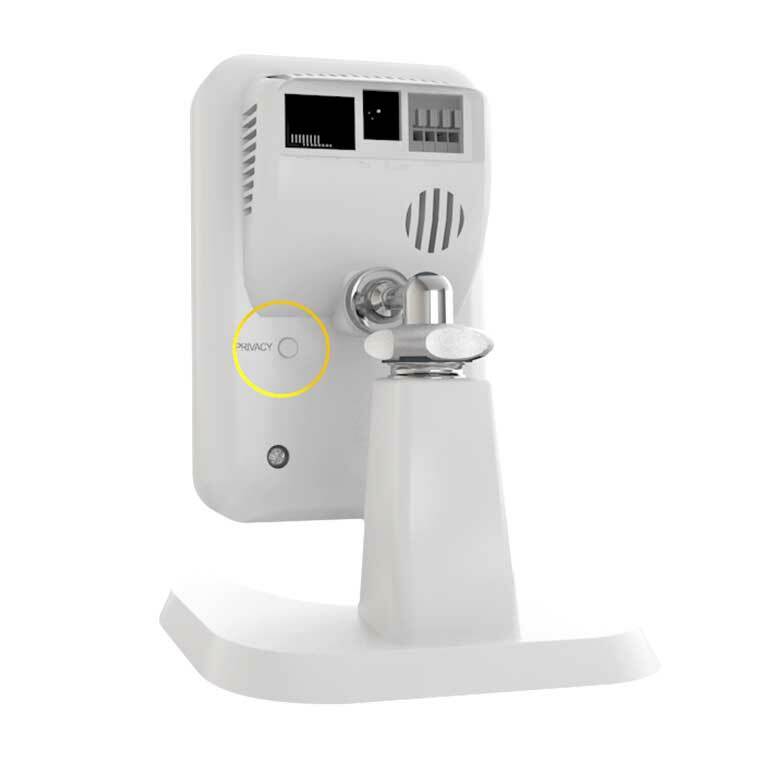 So not only does it play its part in protecting your property, it also looks right at home.